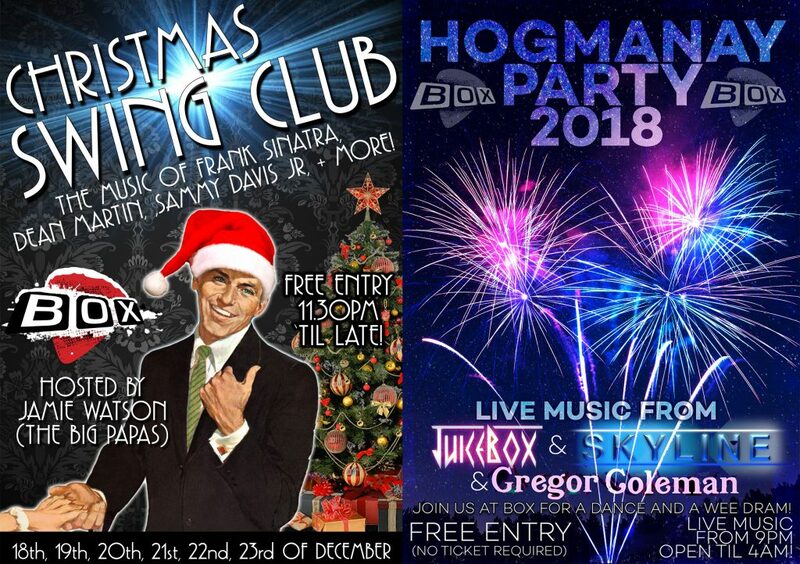 Looking for Hogmanay plans that won’t break the bank, won’t be completely freezing as balls, and won’t inevitably be called off due to torrential rain? Then look no further than BOX! We have an amazing line-up to take you through the bells, and dancing right up until 4am! And it is all FREE, no tickets required. Live music from Juicebox, Gregor Hunter Coleman, and the amazing Skyline Band Scotland!